This week, the Indian National Congress made it to prime time news. Thanks to Rita Bahuguna Joshi. Nearly 30 months after the historic humbling, the Congress seems to be heading for worse. And the saga is best illustrated by the headline impact—the commentary was less about her joining the BJP and more about the likes of her quitting the Congress. News junkies would recall the interview that virtually condemned the Congress as the loser in the 2014 election. Some genius in the party had placed a painting of a ship in gloomy seas in the backdrop. The ship, MV Congress, it would seem, is truly rudderless in rough seas. There is a discernible pattern to the seasonal exits—the party is enveloped in a fog of hopelessness that is driving leaders and voters away. There is much discussion about the leadership—the bipolar disorder and the confusing structure of decision-making. Leadership is an issue. More critical is the fact that the party suffers from idea-insolvency. Leadership is defined by ideas and is about finding the core team for execution. For instance, till September 2013 the BJP was at war with itself. The party came together with the ideas the new leadership brought to 11, Ashoka Road. The Congress, sans script and without direction, is rendering itself into the item song of Indian politics. Somewhere someone within the ‘advisory group’ has cocooned the leadership in an augmented reality—defined rhetoric as realpolitik and confused slogans with strategy. Why else would the party first applaud the surgical strikes and then doubt it? More pertinently, why would it prolong an argument to the advantage of its principal opponent? The flailing political model is reflected on electoral charts. Since May 2014, the Congress has lost power in influential states—in Delhi it scored zero, in Kerala it revived the Left, in Assam it was felled by arrogance, and in Maharashtra by corruption. The BJP in sharp contrast ramped up its shareholding from 198 to over 350 seats—seizing power in Maharashtra, Haryana, Jharkhand and Assam besides acquiring a share in Jammu and Kashmir. A granular review of the poll data shows that Congress candidates forfeited their deposits in 359 of the 999 seats they contested—that is one in every three seats. Yes, BJP candidates too lost their deposits—over 600 of them. The difference is that the BJP suffered the bulk of “lost deposits” in West Bengal, Tamil Nadu, Kerala and Jammu and Kashmir where it had a marginal footprint while Congress candidates lost deposits in over 250 seats in Maharashtra, Delhi and Haryana—states where the party had been in power for over a decade. In 2017, polls will be held in Goa, Gujarat, Manipur, Punjab, UP and Uttarakhand. The Congress has not been in power in Gujarat and Uttar Pradesh since 1989—the two states account for over 100 Lok Sabha seats. Specifically in Uttar Pradesh, the party’s poll record tells the story of its decline. Between 2002 and 2012, in three Assembly polls, the Congress contested 1,150 seats, won 75 and forfeited deposits in 897 seats. The moot question is if any lessons have been learnt and whether any new ideas besides the “failed primaries” have visited 24 Akbar Road. Has the party—post the coronation in Jaipur in 2013—devised or designed a new model or a variation of its political model? The party and the people scarcely know if the party that ruled for 10 years in the new millennium has an alternate view—on new technologies, the changing face of global economics and/or about emerging concepts like universal basic income. In private, senior Congressmen are left bewildered about who formulates views or what constitutes the party line on issues—like defence, changing dynamics of geopolitics or social schisms. Can a national party afford a view in Mumbai in variance with the view from Delhi? Visibility matters in politics. At an operational level, the leadership is often missing in action. 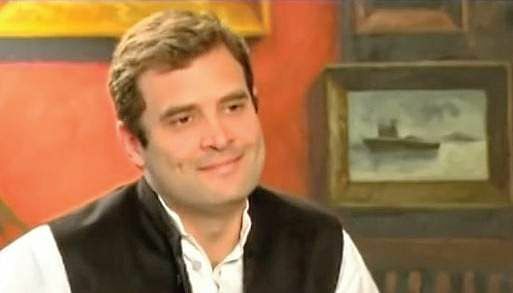 For instance, why did Rahul Gandhi not attend the all-party meeting post the surgical strikes—he could have been chaperoned by seniors like P Chidambaram or Captain Amarinder Singh, who served in the Army during the 1965 war. As a Congress veteran puts it, it is part of the ‘known unknowns’. It is scarcely a mystery that the vice-president needs help and advice. The question is: does he seek advice and if so, how does he access it? Officially, the Congress Working Committee has met precisely twice since May 2014. The idea to create a shadow cabinet to fact-check government’s claims and for policy oversight was junked as quickly as it was suggested—thanks to the courtiers. The neural collapse is not just at the Centre. In states the local leadership is left guessing on what is a ‘go area’ and what constitutes a ‘no-go area’. Ideally, the organising principle of a political organisation is structured around objectives and outcomes. That is not the case with Congress and it is not as if it suffers from lack of talent or capacity—after all this party headed a government with no less than nine former chief ministers. It would seem ad-hoc is the new normal. Ergo, the 875 million votes question is whether anyone is being consulted—more pertinently if anyone is talking to anyone. Quite clearly, the Congress is stranded between evolution and revolution.